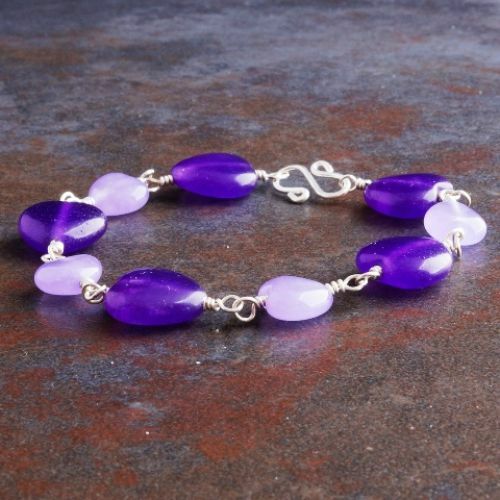 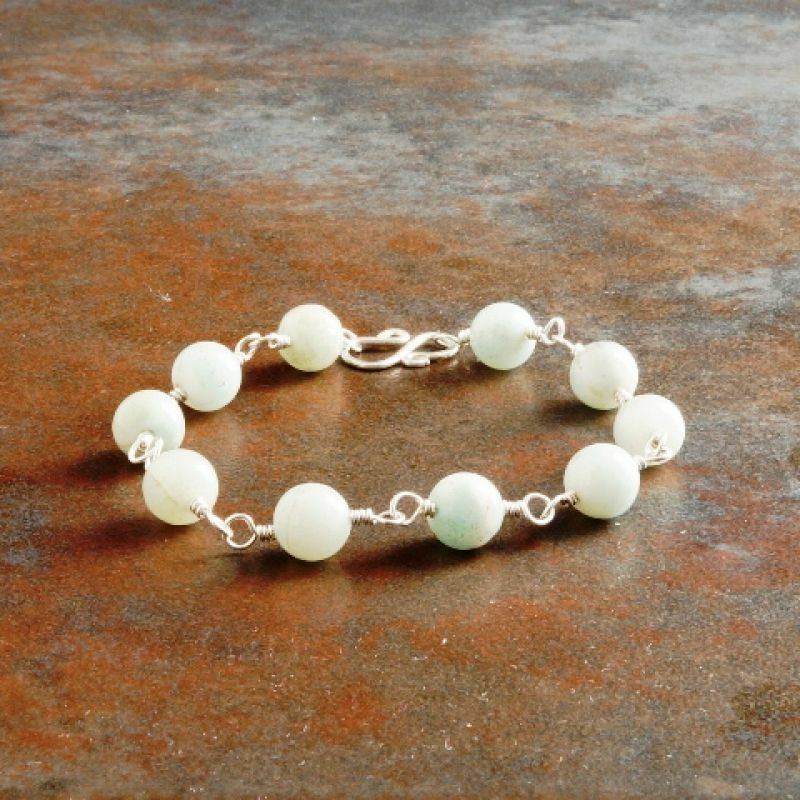 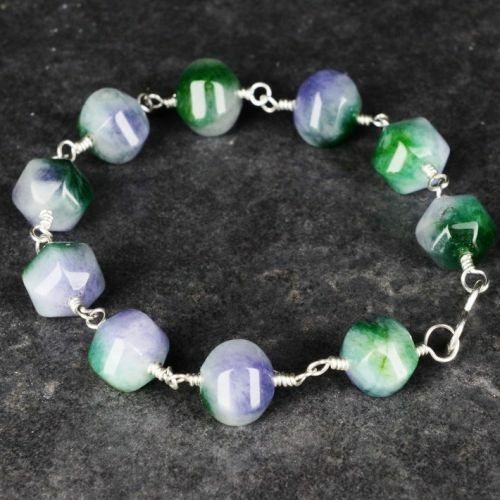 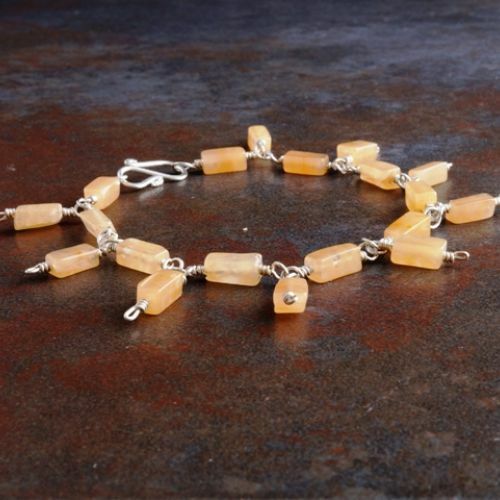 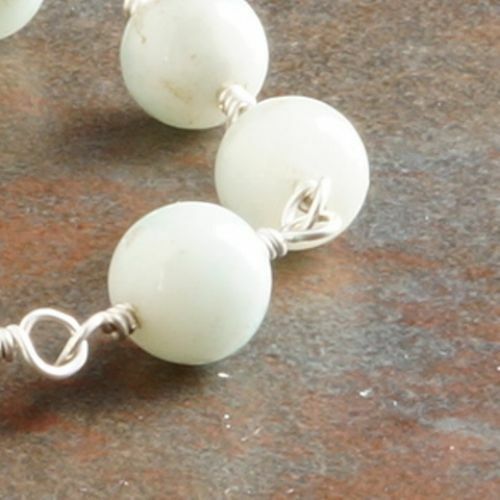 Handmade Sterling silver wire wrapped Jade bracelet. 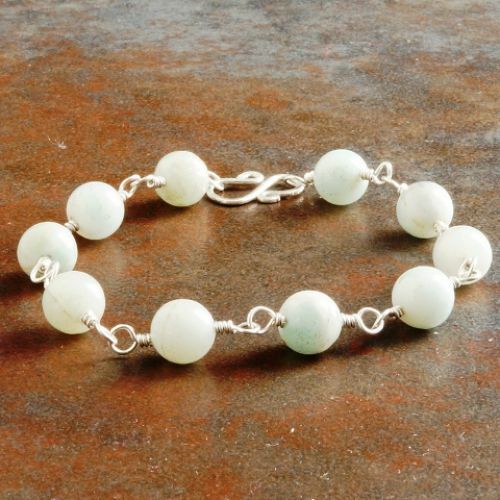 Jade is an attraction gemstone, historically it has been used to attract love, but it can also be used to attract money into ones life. 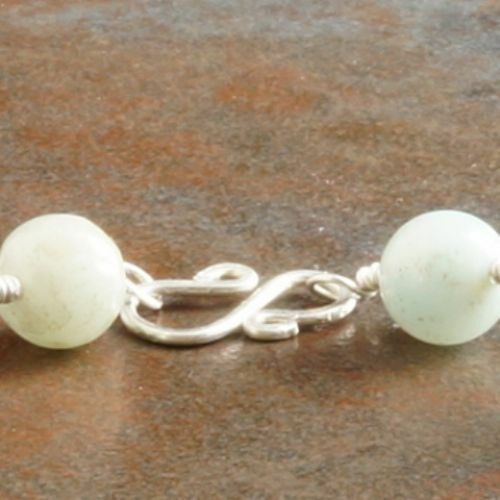 Beads: 8 mm Jade rounds.